Life is full of transformations. Babies get transformed to children to teenagers to youths to adults to old age and finally to death. The world we live transforms everyday. It’s not the same world today as how we saw it yesterday. A good example is in the last week new Apple products were launched were as until the last week those products were not available, likewise millions of changes happens throughout the world like climate, political changes, births, deaths, marriages, promotions, sorrows, pains, sickness and so on. Even though there is no significant change happening in the physical body of a person other than growing and becoming older from birth to death, certain animals undergo complete transformations during their lifetime and I want to give an analogy of few of those animals to a Christian life to give you an insight on what category we belong to and to which category we should become. 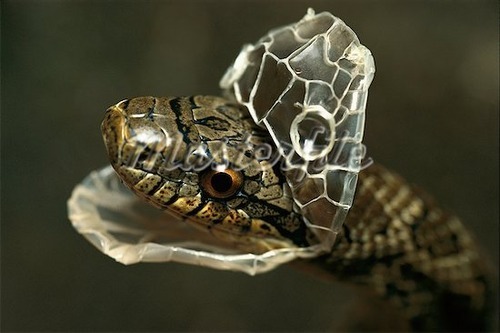 Compared to other forms of life reptiles (snakes) shed their skin several times in their lifetime a process known as Ecdysis. It’s said younger snakes shed more than older snakes. When it comes time to shed the skin the skin becomes dull and the eyes often get cloudy. When the new skin completely develops under the old skin, the snake rub against harder surfaces and gets rid of its old skin. Now the snake will have a brighter, prettier and even younger skin in appearance, but no matter what how many times the snake undergoes this process of Ecdysis the venom in its mouth remains the same! Does the venom lose its toxicity after Ecdysis? No, it just remains the same. Some Christians are like this as said when anyone come to Christ a real transformation happens in his life and will be completely transformed, not physically, but mentally and spiritually, however, sadly some of us are like the snakes, no matter how much ever we pray and read scripture we refuse to throw away the venom inside us and we often use these venom against others whenever possible, let’s think about ourselves are we really transformed into Christ likeness and living that way or are we like the Ecdysis process in snakes which affects just outside appearances? Next, I want to talk about the Eagle. Eagles are one of my favorite birds, as for their amazing power and features such as sharp vision, high altitude flying, hunting skills etc. Eagles are truly the King among the birds. 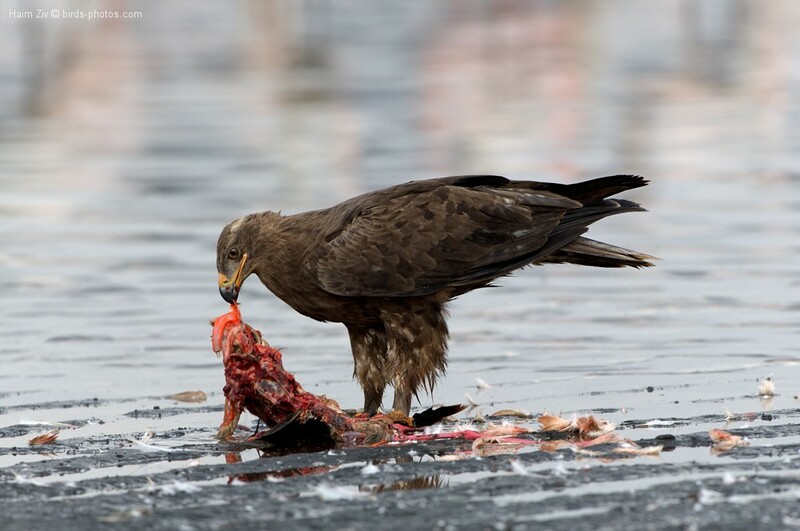 Eagles feeds on meat and as a result, it becomes bulkier and heavier and continuous hunting results in losing the sharpness of its claws and blunt beak. So the eagle undergoes a transition in its lifetime to transform into a younger eagle by isolating itself by hiding in treacherous rocky places and it strips its feathers and losses its beak and claws by hitting them on the hard rocks. It’s a painful process in its life. 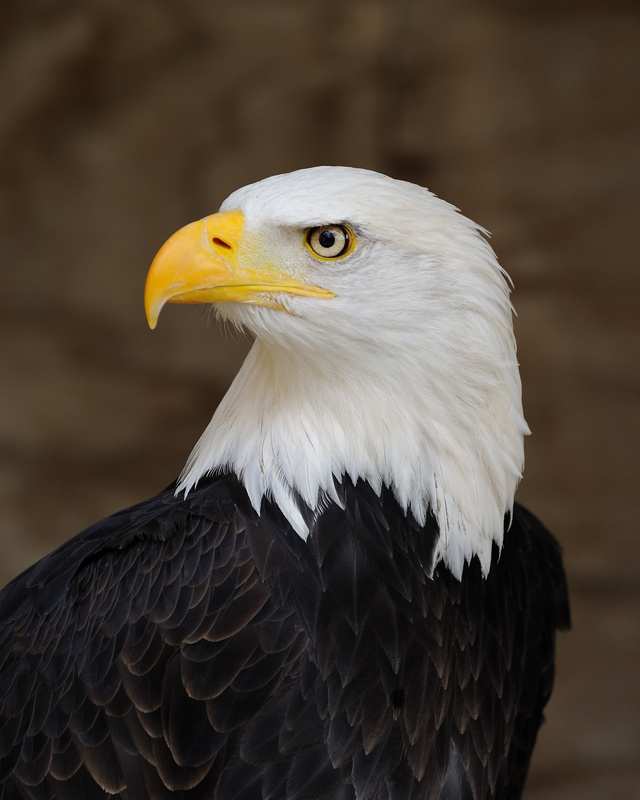 However, after few days new feathers, beak, claws will be grown back and the eagle rejuvenates into a younger eagle. Now, the eagle has become as equipped as how it was before or even better. 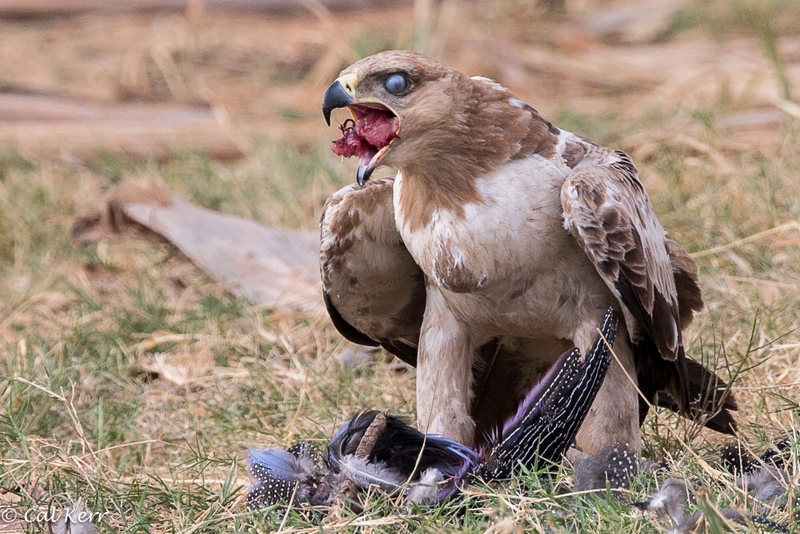 But no matter what, even after getting all new powerful claws and beak, if it comes across the corpse of a dead animal it feasts of the dead and decomposed body parts. True, it got new and sharp claws, feathers and beaks still, instead of hunting a living animal and eating it fresh, it cannot keep it away from eating the dead decomposing nasty corpse of the animal! Aren’t some of us are like this? We live in this world and we feed on the dead, decomposing corpse of worldliness (issues of other people’s life) and when we feel spiritually drained, we take fasting of 3, 7, 10, 21, 40 and more days of fasting and separate ourselves from the world and rejuvenate in scripture of God. But, after all fasting and praying and all rejuvenation, some of us often, tend to go back to the old style of feeding back again on the dead and decomposed matters than hunting the living and fresh things (Challenges ahead in life). 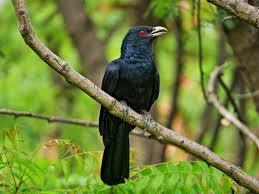 Asian Koel is one of the talented yet, laziest and irresponsible birds in the bird world. 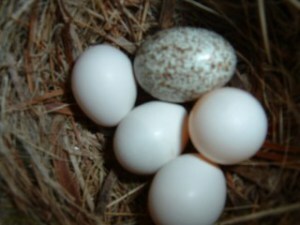 It got such a sweet voice and sings beautifully, but when it gets time to hatch eggs it doesn’t bother to make a nest or sit on the egg to hatch it rather it flies mostly to the Crow’s nest and lay egg in the Crow’s nest and leave. Poor crow thinks it’s one of her egg and takes care of the Koel’s eggs and once hatched the Crow nourishes the young Koel until it becomes strong enough to fly and hunt itself and the story keeps happening all over again when this Koel become an adult. Are we like Koel in our faith walk with Christ, being irresponsible and lazy by going in our own way and not caring even for our own in Christ’s family, or are we as the Crow who takes care and feed the needy without making any discriminations? 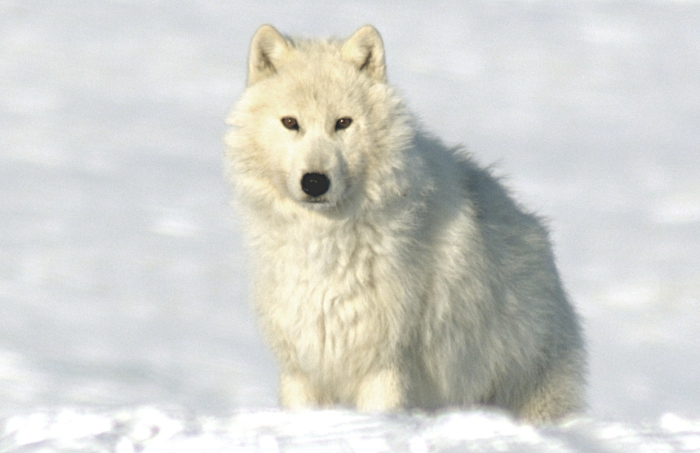 There are certain type of wolves called Arctic Wolves living in the polar region. As to survive the extreme bad weather, God had made them with a very thick blanket of fur and fat. 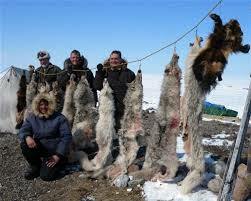 Humans hunt these wolves for the very same to survive the extreme climate. They do it in such a brilliant way that even the wolf doesn’t realize it being trapped. The hunters place a lump of blood dripping lump of meat encored with laser sharp glass pieces in it. The wolves, with their exceptional ability of smell senses the location of meat and eagerly start to devour it. 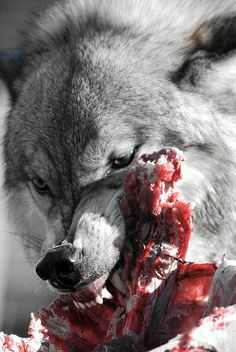 They start by licking the blood on the meat, but the glass pieces embedded in the meat cuts the wolf’s tongue and causes bleeding. The wolf doesn’t realize it loosing its own blood and keeps licking on the meat thinking its from the meat and keep on licking as the sensitivity is reduced in extreme cold weather. Eventually the bleeding becomes worse and the poor wolf without knowing the trap will still be eating its own blood and finally bleed to death or the hunters hunt them, as they grow more and more tired due to the extreme blood loss. Sin is like the lump of meat covered with sharp glass pieces and kept in front of the wolf. We see the meat (pleasures of the world) and starts devouring it eagerly without realizing the glass pieces embedded in it and we get injured on each bite. The sin, whereas acts as a cancer and eats us from one side until it covers us completely and makes us a slave under devil. Therefore, we should become more wise and vigilant to understand the crookedness of sin. Do not let yourself to be fooled as the Arctic wolf. 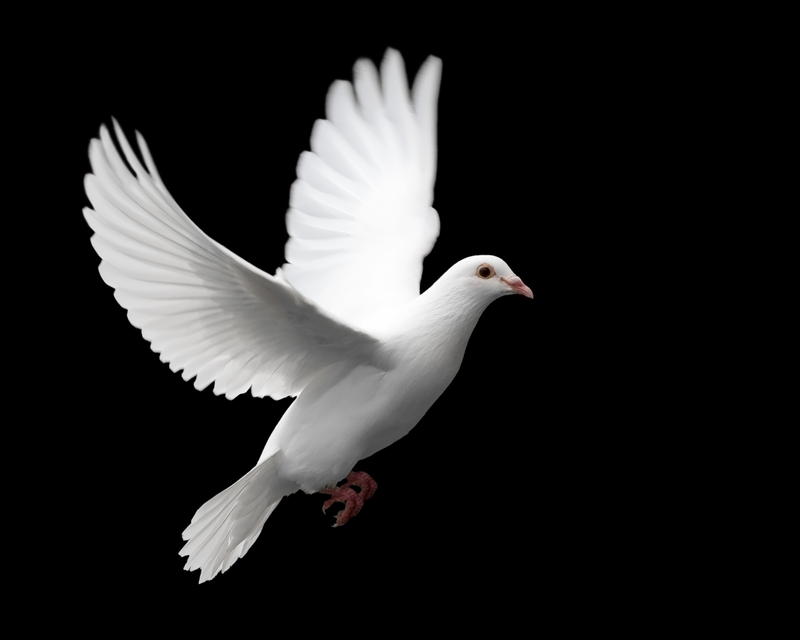 Speaking of Doves, they are considered as very clean birds. Even though the world is covered in dust and other litters the dove keeps itself clean by staying away from all impurities and by frequent showers maintaining its white feathers white, similarly a Christian should keep himself holy by staying away from the lust of the world and by frequent observation in daily life and asking forgiveness through the blood of Jesus that been given to all of us on the Cross of Calvary. 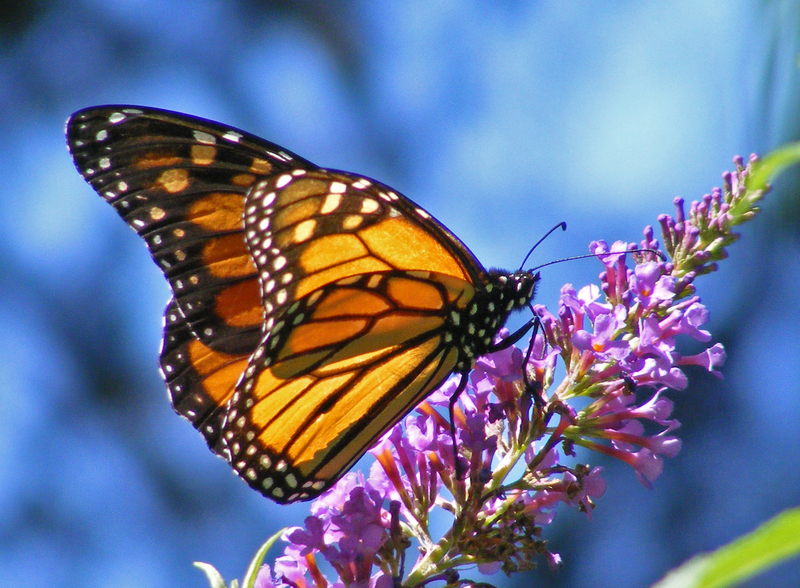 Speaking on separating ourselves from sin a beautiful analogy can be said from the life cycle of a Butterfly. When a butterfly is born its not born as a butterfly, but as a worm called Caterpillar. While in caterpillar stage it feeds on mud and on green leaves. 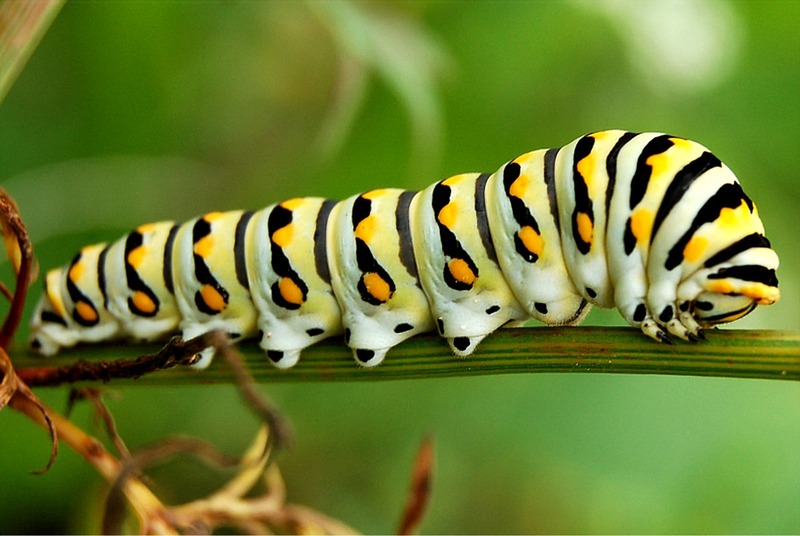 But a huge transformation takes place once the caterpillar reaches a certain stage in its life. It stops eating and begin to weave a web around itself called Pupa and engulf itself inside for several days. It looks as if something’s hanging under the leaf and no sign of life inside it, however, what really happens is a huge transformation is under place and one day a beautiful Butterfly comes out of the Pupa rather than the old Caterpillar! Once a caterpillar becomes a Butterfly it doesn’t go back to its old habits to eating mud and leaves, but it starts to feed on the best food of all, the Honey! It no longer eats the mud and leaves instead it flies from flower to flower feeding the delicious honey and also promoting pollination among the plants! This is how a real Christian should be, once you become the new man through the salvation through Christ Jesus you shouldn’t be going as the how the transformations in snake or eagle by keeping the venom or living on dead matters, but live as butterfly and don’t go behind the old sinful habits, but live upon reading and practicing the Word of God, which is more sweeter than honey and spreading the Good News (the Gospel) to the unreached! I have been telling examples of animals all this while, so let me give a couple more examples of plants and conclude this analogy. Take a look at the kernel of a wheat. 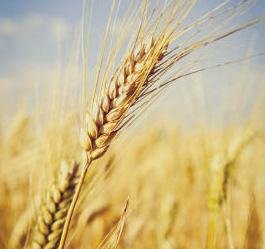 Once it is harvested and kept in the granary, it remains the same wheat grain for several years. However, if it is sown into fertile soil and appropriate nutrients and water supplied a terrific transformation takes place where the kernel will decompose and a plant will come out of the seed. The kernel will no longer be the seed, as it’s already decomposed and brought itself to bring out a completely different form -a plant- out of the kernel. Once the plant grows to its fullness it will flourish and bring out several other grains of wheat out of to what it was a single seed before. God expects the same from us, to die to ourself (to kill the sinful life, life before accepting Jesus as Lord and Saviour in life) and to live a Holy Christian life bringing fruits for God. Will you be ready to die to yourself, that God can transform you to a wheat plant instead of a kernel of wheat and bring out several other kernels of wheats out of you? Will you be willing to die to yourself to produce more fruits out of you? If yes, please repeat this prayer from your heart and lead a holy and God pleasing life. Lastly, I want to speak about the role of a microscopic plant phytoplankton and its amazing role in sustaining the balance of life in this world. 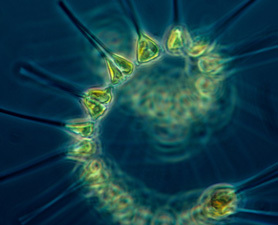 Phytoplankton as said is a microscopic plant which is found abundantly in the sea. 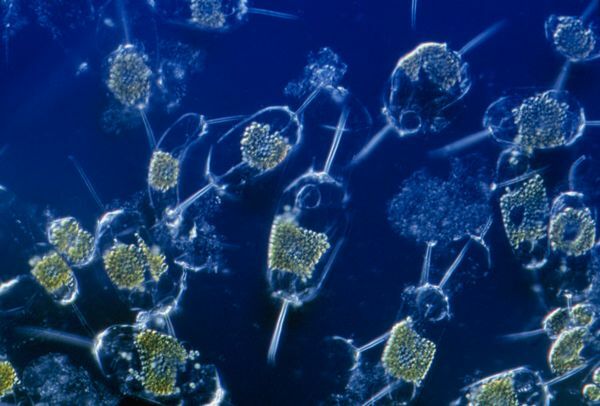 They being teeny tiny we often ignore them, but without phytoplankton there will be almost be no life in the sea! Such tiny plant yet such huge role! During the early spring due to the rains in the northern hemisphere, especially in the regions of Canada and Northern parts of America, a lot of minerals and nutrients get washed into rivers from forests and volcanic sites which in turn gets dumped into the Pacific and Atlantic Oceans. These are the feeding grounds of phytoplankton were they quickly feed on these nutrients and minerals and have an exponential growth. 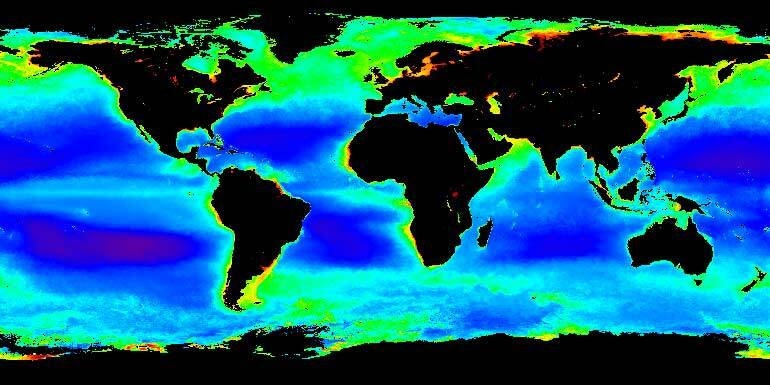 The growth rate is so much that even the satellite pictures of the Pacific Coast will appear green rather to blue. Millions and millions of plants are formed which in turn attracts the attention of other tiny sea creatures and insects which feed on these phytoplankton which lead to smaller fishes to feed on those insects which attracts bigger fishes which in turn brings sea gulls and other sea birds, sea lions, dolphins and sharks and by the time it is summer in U.S., Canadian regions by July the plankton bloom reaches its fullest which attracts the biggest animal on the planet the Blue whale which will come from all the way from Hawaii Islands to Canada a long voyage of 1500-2000 miles by swimming for 3-4 months and approaches the Canadian region just in time for the Big feast! A typical blue whale eats around 20 tones of phytoplanktons a day! Imagine the significance of such tiny plant! So small that it is microscopic, yet it feeds the biggest animal in the world the Blue whale! We might be nothing and nobody in the world. People won’t even consider us. We might be invisible to others, but God has made us here on earth with a purpose to offer ourselves back to God, so that He can use us in such amazing way that even the world’s biggest tycoons survive because of us. A phytoplankton has nothing to boast about -no power, no wisdom or any form of strong family tie ups- yet the biggest animal of all Blue whale’s life depends on it! What a great privilege, similarly can you offer yourself as a teeny tiny Phytoplankton, that God can use you and your hopeless situations into huge successes for the glory of His name for God opposes the proud and raises the poor and afflicted. Let me conclude this analogy of transformations by this thought. What sort of animalistic nature do we possess? Are we the in nature of snake, eagle, Asian Koel or Arctic Wolf? If so, let’s stop going that way and be transformed into a butterfly, a dove, the Kernel of Wheat or Phytoplankton and live for the Glory and the Purpose of what God have created us for and lets exalt God’s name by living a holy and victorious life for the Glory and Honor of God’s name! Dude. Do you believe in Evolution Theory? however there are genetic variations from one generation to another which leads to changes in the offsprings and so mutations and changes occurs, but not drastic changes like monkey turns to human. Hope this clears your question. You obviously put a lot of thought and time into your posts. When we see the nature, we know the complexity in it. Nature itself doesn’t have such power to produce them but God. There are many people lost God’s way due to Charles Darwin. You are an excellent writer and your message was very interesting. Thank you.